The primary objective of a successful B2B marketing program is to bring in new business. B2B marketing programs include many elements, ranging from brand building to market research. But no single part of a business-to-business marketing program is more important than generating qualified sales leads. “Marketing for leads” drives sales. Done correctly, it will increase the bottom line and help the company achieve its growth goals. 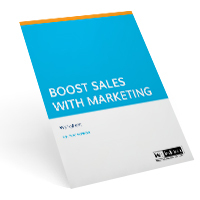 B2B marketing programs that are bottom-line oriented focus on generating, nurturing and qualifying sales leads. 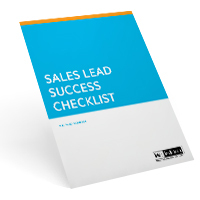 With this worksheet, a companion to the Boost Your Company’s Sales With B2B Marketing Guide, you will develop a successful business-to-business marketing-for-leads program.